Over the past decade, growing concerns over national security have forced governments around the world to raise their overall public safety profile by refining existing security policies and procedures. Driven by the threats of terrorism, illegal immigration and identity theft, the challenge facing governments and entities like the International Civil Aviation Organization (ICAO) has been to find the best way to increase the security of international travel by minimizing human error and safeguarding personal data. Passport control procedures have been a major area of focus, with a heavy emphasis on how governments monitor and control access at their borders. ICAO has been working for many years to establish a single, common standard for the reading of travel documents and the use of passport data around the world, and April 2010 marks a critical milestone in this move. As of this date, every contracting country must either issue its citizens a machine-readable passport or an e-passport that contains a microchip with information that can aid agents in authenticating the identity of the passport holder based on the encrypted biometric data. Around 170 countries have already introduced a machine-readable passport and the first ICAO-compliant e-passports were introduced in 2004. 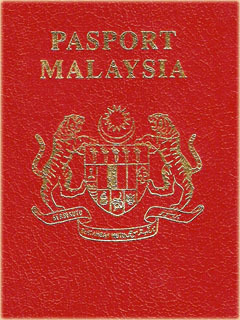 While early e-passport adopters include countries like the UK, Australia, Sweden and Singapore, other countries are likely to miss the April 2010 deadline and some are likely to jump straight to the next-level of security innovation: the second-generation e-passport. The basic concept behind this enhanced e-passport is that the holder’s personal data and biometrics–including photograph, fingerprint and or iris–are securely stored in the contactless smart card chip, which is accessed through secure contactless technology. Basic access control safeguards against the inadvertent capture of data stored on the chip, while protecting the privacy of the holder’s identity. Basic access control also secures communication when the travel document is read by a passport-reading device at a passport control point. The passport holder is identified and fraud attempts are discovered by comparing the chip data against the visual data in the passport. The accuracy of the stored biometric data is key, along with its security and the ease with which it can be verified and transferred using secure certificates. An added level of security – extended access control – is now being introduced to strengthen basic access control. Extended access control offers even greater protection against unauthorized reading, or ‘skimming,’ of the personal data stored on the chip by combining basic access control, chip authentication and terminal authentication. The enhanced functionality of second-generation e-passports is also driving the developments of far more powerful chips with storage capacity of at least 64Kb to properly support fingerprint data and extended access control functionality. Many of the early, lower-capacity chips used in the first-generation e-passports are therefore being phased-out and replaced by chips that can store nearly double the amount of data, as well as facilitate improved processing capabilities and a faster operating system. While e-passports are breaking down traditional barriers to secure international travel, they also come with their own set of challenges. Perhaps the biggest technical hurdle when implementing an e-passport-based border control system is the infrastructure that supports it. At the present time, not all countries have installed the facilities and infrastructure needed to conduct electronic verification. The ability of all participants to use the technology that underpins the overall system will be critical for its success. The speed, accuracy and security of the e-passport readers themselves are also a critical factor for success. Additionally, without seamless interoperability between the transponders and the readers, and compatibility between the systems used in different countries, non-compliant passports could cause significant operational problems. As the most complex element of the system, the readers must be compatible with a variety of chips and multiple operating systems. Developers of this technology are working closely with ICAO and governments around the world to ensure that the infrastructure is up to the job, so the security printers of each country can confidently produce secure credentials with embedded secure contactless technology and visual security elements designed to deter counterfeiting. Manufacturers currently offer the document readers that comply with the standards and help agents retrieve the information stored in e-documents for on-the-spot identity verification. Even with the challenges of mass e-passport adoption around the world, millions of electronic passports are already in circulation, and all major airports have initiatives to establish an e-border control infrastructure throughout 2010. In the words of ICAO: “This represents a first step in bringing global state travel document systems and technologies more in line with 21st century border control, facilitation and security objectives.” As early adopters of e-passports seek to upgrade their passports, this trend will inevitably spur improvements in functionality and encourage the integration of ever more sophisticated security features. The high levels of security and authentication provided by second-generation e-passports translates directly into increased efficiency and convenience for governments and their citizens, with secure contactless technology helping to make passport-based identity checks simpler, faster and more secure. The convenience of easier traveller processing at border crossing points is an obvious attraction of the contactless smart card technology-enabled e-passport technology. And its greatest benefit is the role it will play in the next decade to safeguard against terrorism, illegal immigration and identity theft – the most pressing national security threats of our time.